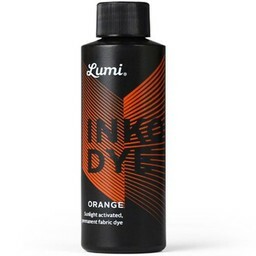 Inkodye DIY Silkscreen ink Orange 118 ml. 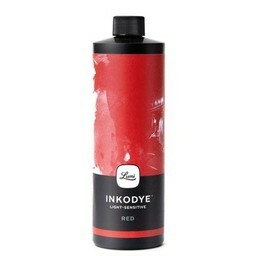 Inkodye DIY Silkscreen ink Red 118 ml. 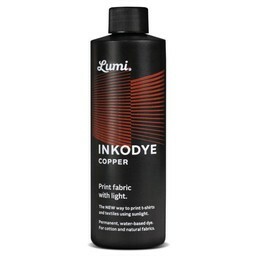 Inkodye DIY Silkscreen ink copper 237 ml. 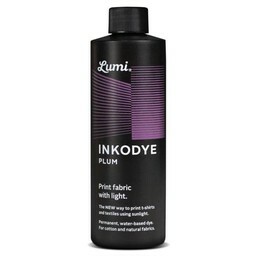 Inkodye DIY Silkscreen ink Plum 237 ml. Inkodye DIY Silkscreen ink Sepia 237 ml. 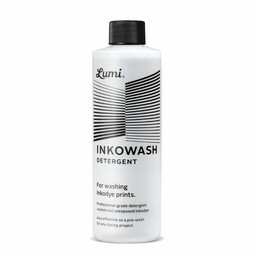 Inkodye was developed in America by Lumi using crowdfunding. 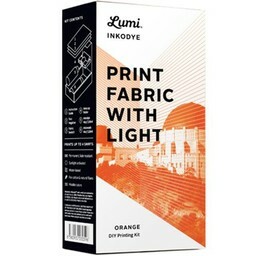 It is a sunlight-sensitive dye that is used to photographic negatives, & shade prints on natural materials, such as untreated (watercolor) paper and transfer fabric. 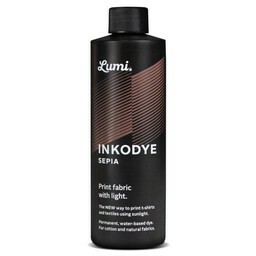 It is possible to use the Inkodye paint for painting, tie dye, stenciling, screen printing, batiken or apply the shibori technique. Apply the light-sensitive paint Inkodye with a brush, sponge or roller. In order to obtain a good result it is importance that the paint is evenly distributed. Excess paint can be removed with a paper towel. 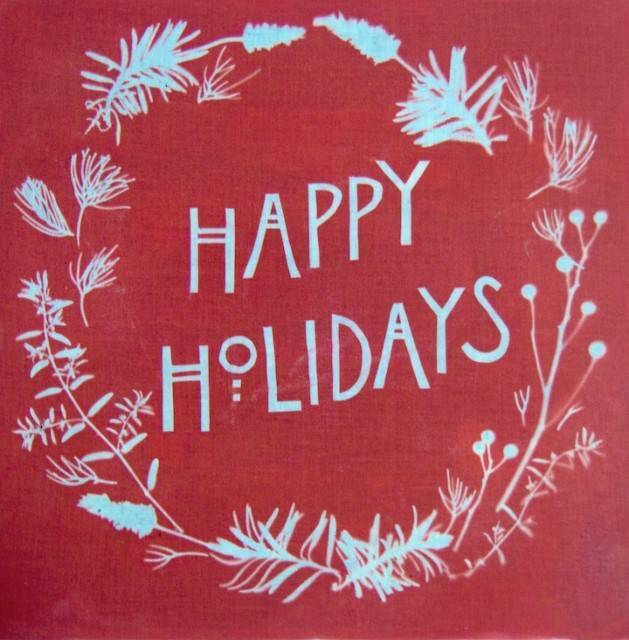 Place the paper & cloth with dye, while the paint is still wet, directly in the sunlight. The paint immediately changes of colour. To stop the process of development, wash the paint immediately with the Inkodye detergent and dry irone. 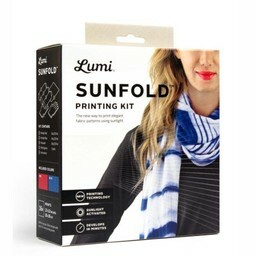 The print is now permanently attached and remains supple and soft. Fixing is not necessary anymore. The paint is available in various colours, namely: black, blue, navy, copper, orange, red, plum and magenta. It is also possible to mix the paint with water or with other colours. The colours are available in small and large quantities. In addition to individual bottles colours are DIY packages. 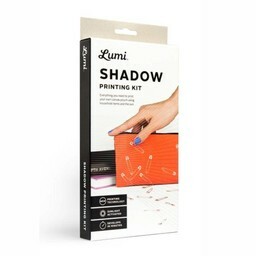 Shadow Print: make your own case using templates. Tie-dye: 3 bottles of paint with instructions to make a tie-dye project. 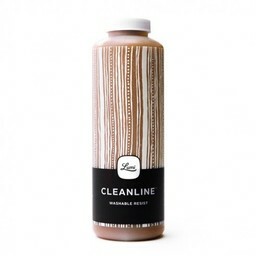 Clean Line: paint which can be used in order to batikk. The cleanline separate the different colours from each other. 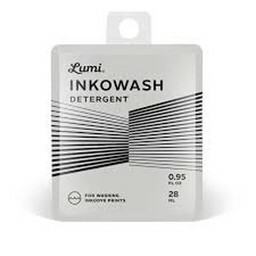 Other Inkodye materials are inkjet film,roller inkocap and detergent.